G-Eazy, Logic, YG, and Yo Gotti are teaming up and touring this summer! Seems almost like an expected unexpected mashup, but we’re here for it. 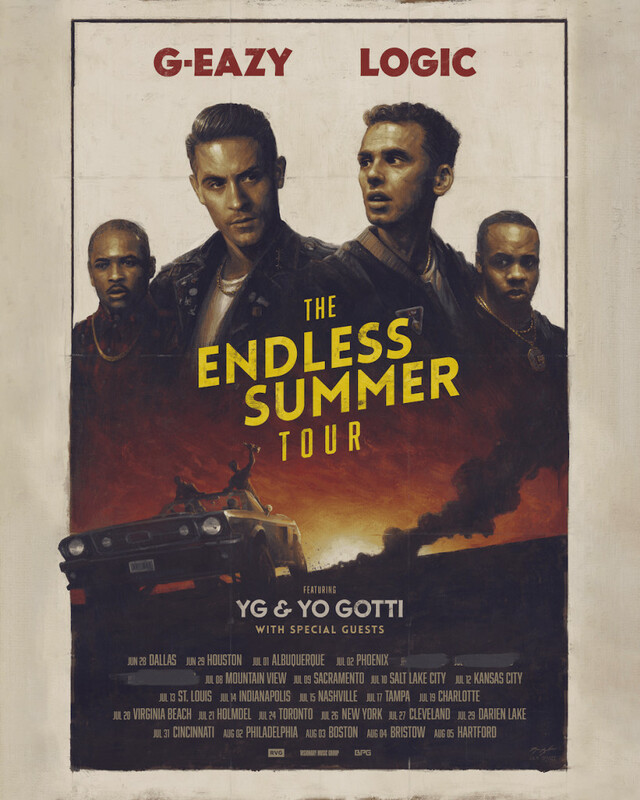 G-Eazy has just wrapped up his “When It’s Dark Out” tour with A$AP Ferg a couple of months ago and Logic ended his “The Incredible World Tour” earlier this month, the two will be on a trek again this Summer for the The Endless Summer Tour. Assisting them on road will be YG and Yo Gotti, which kick starts June 28 in Dallas. It will travel through major markets like New York, L.A., Toronto, Houston and more before concluding in Hartford on August 5th.